Maternity session with Paris was absolute magic. From playing with silk, to trying something new and working with amazing Lux Artistry Collective for hair and make up we had the best time. Her due date is only weeks away so we wanted to take advantage of her beautiful round belly and capture unique pregnancy photos. Check them out bellow and share your thoughts! Love your use of light! So good! Beautiful photos! I love the silk in your sets. So pretty! 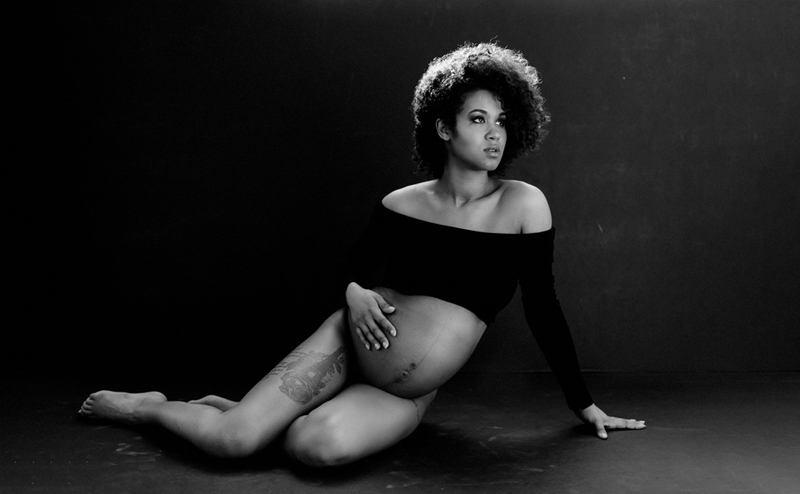 These are some seriously stunning maternity photos! They have such a high fashion feel to them and capture Paris as a badass mama! This is fine art indeed, these are absolutely stunning. I especially love the pink silk, these maternity photos are a dream. Dijana these maternity photos are incredible! I love the way you used the light and the silks! And the BW shots are stunning! !